The temperature is beginning to drop here in New York City... my fall break consisted of staying indoors in 50 degree weather, watching Netflix, sipping English Breakfast Tea and huddling on the couch with a warm blanket around my shoulders. The days when I did go out, I made sure I was productive... mostly. My friend Kita and I went into Soho to finally visit Central Perk, the new temporary "Friends" cafe that opened last month. Unfortunately, we went at the worst time possible, 4 o'clock pm with a wait-time so long (four hours) that they shut down the line. So instead, we decided to check out the coffee place, "Harney & Sons". It's a cute little cafe located near Broadway with options ranging from white, green, black, Indian, Chinese, English teas lined up all along the walls. Kita tried "Love Life" while I tried the "Valentine" mix (chocolate, rose, vanilla). It was delicious. We topped it off with a couple of scones and jam. When I got home, I finally wrote my second letter to my boyfriend, who has been insanely busy with physics and calc tests at Mines. 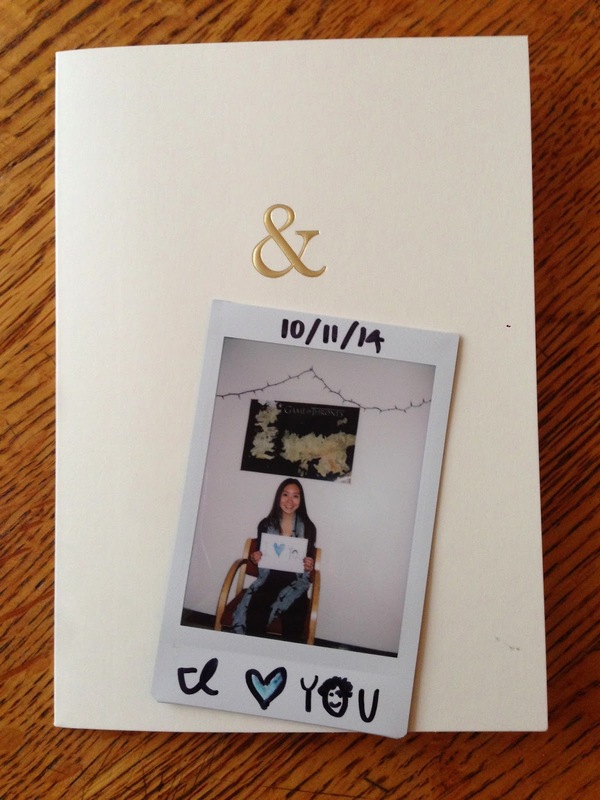 I sent him a nice polaroid to cheer him up for the upcoming midterms. The next day, Kita and I revisited Central Perk, but at 8 o'clock in the morning. This time around, we got the chance to wait in line! 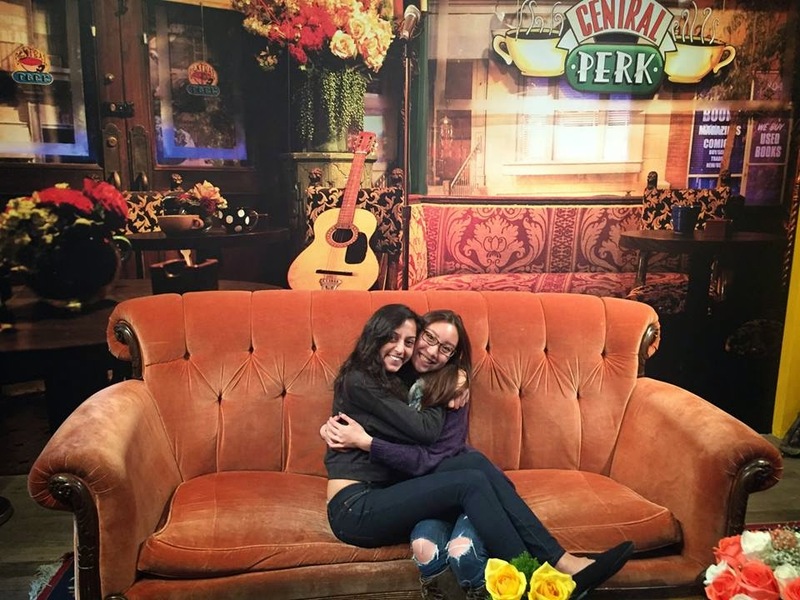 It was an hour wait, but the "Central Perk Blend" and cute pictures we took made up for the struggle. This week, my goal is to start studying for my Human Evolution midterm, which is taking place two weeks from now. Not only is Human Evolution a detailed class on monkeys and primate behavior, but also biology, genetics, geology, comparative anatomy, paleontology, ecology, forensic anthropology and archaeology. I'm a little more than scared, but hopefully I'll be able to pull through until Thanksgiving break, when I finally get to see my boyfriend!